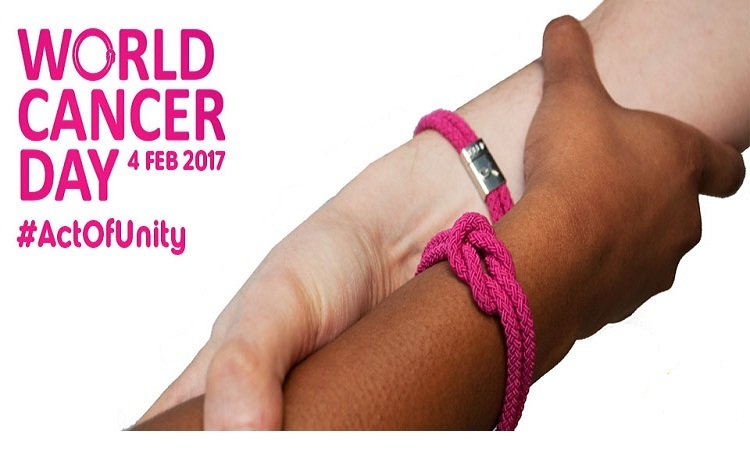 World Cancer Day is observed on every year of 4th of February to encourage the awareness, prevention and cure of this massive disease. Every year millions of people across the world loses their life due this vicious disease. To increase the count-ability of cancer treatment, every year more awareness and advanced treatment procedures are introduced. In developing countries, 57% of new cases are diagnosed with cancer but the resources of cancer care services are only 5%. While in developed countries there are screening for number of cancers are available which leads to the early detection of the disease increasing the chances of survival. Whereas, in developing countries, diagnosis and access to treatment are restricted and very very expensive. This creates a huge inequality in access to cancer. This is largely due to the investments provided for cancer. There is a very urgent need to enhance the cancer controlling unit as it has accounted to almost 8 millions of death around the globe. There are several steps which is needs to be applied as early as possible starting from the uplifting of the oncology section, from training the Oncologists to tackle the disease with minutes care and skilled attention, to uplifting the cancer equipment and radiotherapy technology which essential for the treatment of cancer patients. Early detection of the cancer leads to the higher success rate of the treatment. By adapting simple lifestyle, consuming nutritional and healthier food can reduce cancer cause to a much lower extent. Here are some of the followings. By doing so, you’ll reduce your exposure to known or suspected carcinogens and hormone-disrupting chemicals found in water. Processed, charred, and well-done meats can contain cancer-causing hetero-cyclic amine, which form when meat is seared at high temperatures, and poly cyclic aromatic hydrocarbons, which get into food when it’s charcoal broiled. If you do grill, add rosemary and thyme or any other herb to your favourite marinade and soak meat for at least an hour before cooking. Drinking coffee everyday instead of tea will reduce the chances of cancer up-to 5%. By drinking up-to 7-8 litres of water can cut down a risk of cancer to much lower extend as it washes away of the harmful stances from the body. Adding green and leafy vegetables to your diet can help in increasing the metabolism which serves as a great defender of cancer. Cancer fighting vegetables like broccoli, beetroot and fruits like berries are great way to stay away from cancer. Munching on nuts like almonds, walnuts , apricots and raisins provide a great source of amino acids and omega 3 acids useful in fighting cancer. A regular exercise on a daily basis can reduce health risk resulting in healthier metabolism. It is very important to consult a doctor on a regular basis to keep on track of your health issues. Trans-fat and refined sugar has been recorded as one of the major contributor of cancer. Therefore stay committed to stay away from it. Canned food can be very harmful as it changes the nutrition of the food into an useful substance causing the body much harm when consumed. Smoking and consuming alcohol can be very dangerous as it causes serious damage to heart, lungs, liver and throat. The chances for cancer survival has increased in the recent years but still there needs to be a lot of work done in improving the quality of cancer treatments across the globe. The good news is that for some cancer types, such as leukaemia and testicular cancer, many patients are cured. But much more needs to be done for people with other types of cancer, including pancreatic, lung, esophageal and brain tumours.